Eat nothing but the best! 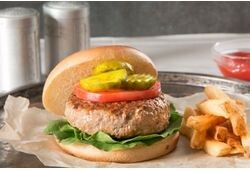 Our All Natural Turkey Burger is made of turkey breast meat, and is full of flavor. Simply defrost, or leave frozen, then grill for the best flavor. Enjoy! Preparation: Cook from frozen only. 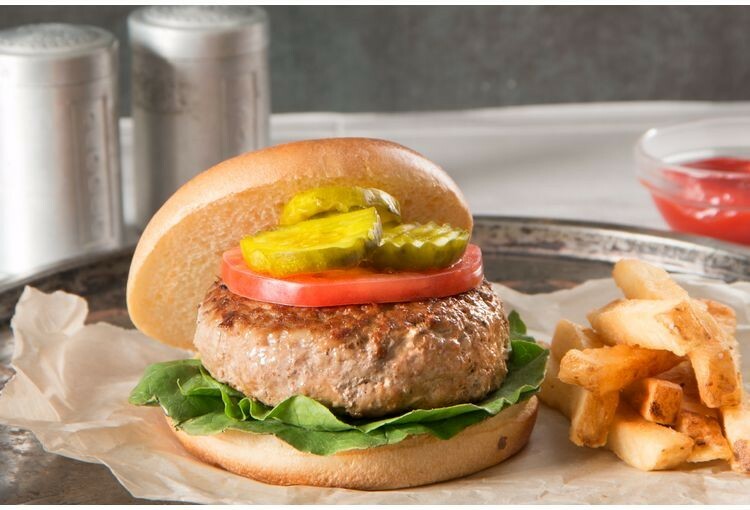 Pan Fry: Place burgers in preheated skillet or flat top grill with light oil and cook for 5 - 6 minutes. Turn and cook an additional 5 - 6 minutes or until an internal temperature of 165*F is reached. Oven Baked: Place burgers on a lightly greased baking sheet pan. Place in preheated oven set at 375*F and bake for 10 - 12 min. Turn over and cook for an additional 10 - 12 min or until an internal temperature of 165*F is reached. Really nice change from a beef burger now and then. Tasty with a light but flavorful seasoning. Used fry pan method from frozen and done perfectly in 7 to 8 minutes per side. Would reorder.